There are two practical driving test centres in Edinburgh. One situated at Musselburgh and the other at Currie. Both test centres will involve as many varied road types as possible integrated into the test routes. Expect busy town roads where the testing examiner will require your safe and knowledgeable demonstration at various roundabouts, from normal roundabouts to small mini roundabouts typically located in residential streets. Junctions and crossroads featuring heavily and possibly one-way-systems. Busy town road also may lead into quieter rural roads. Rural roads represent a hazard due to their potential high speeds and sharp corners. The country road driving tutorial assists all drivers for the preferable technique on navigating such roads. High speed ‘A’ roads such as the A720 will likely be included in the practical test. At least one driving test manoeuvre will be required and although not every test involves the emergency stop, there is a good chance it will be requested. 20 minutes of the driving test will be designated to the independent driving. Detailed below are the address locations of both Edinburgh Driving Test Centres, along with the services that they offer. Test Centre Details: Ramp to access Edinburgh Driving Test Centre for wheelchair users to gain access. Male, female and disabled toilets available. Test Centre Details: Male, female and disabled toilets available. By browsing the Edinburgh driving test routes section, you will gain a good understanding on the various road types and traffic systems that the examiner will take you on. The book a driving test section contains the DVSA telephone numbers for booking a practical driving test at either of the Edinburgh driving test centres by phone. This telephone number directs you to an automated test booking line, although if you browse the option you can talk to a assistant. Often the preferable method to book a driving test at either of the Edinburgh Driving Test Centres is via the internet. This option displays to you all the available test slots allowing you to choose a time and day that is suitable for you. 3 working days notice is required to cancel the driving test at Edinburgh if you require a full refund. The same conditions apply if you wish to reschedule. Cancellations and rescheduling can be done via the contact details above. Driving test pass rate statistics vary considerably depending on which test centre your practical is taken at. Browse the driving test pass rates section for information on your UK DVSA test centre pass rates. You can call a practical driving test centre to inform them that you may be late. An examiner will typically wait for around 5 minutes for you to arrive before cancelling the test. Or the test centre manager can be contacted to see if a test is still going ahead, usually due to bad weather. See driving tests in bad weather for further information. Test centres cannot be contacted directly to book or amend tests however, and this must be done via the DVSA (as above). 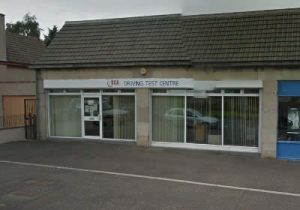 Edinburgh Driving Test Centre may be listed in the driving test centre contact numbers section. We all like reviews these days. Reviews provide an invaluable insight into a product or service. 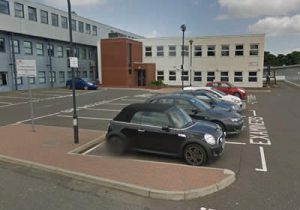 Write a Edinburgh Driving Test Centre review to tell everyone what your experience was like at this test centre, whether you passed or failed your test, what the test routes were like and what your examiner was like. It’s quick and simple – no signup necessary and only your nickname will be displayed. To ensure your review meets our guidelines, please read our Terms and Conditions prior to submission.